Any symbol, sign, logo, color, or any other distinct ability of a product that differentiates itself from other products is referred to as a brand. A brand may be referred to as a single product, a family of product, or all the products offered by a company. Unilever changed its strategy of decentralization in the year 2000 with a motto towards ‘path to growth’. Along with the change of strategy, Unilever also shortened its brand range from 1600 to 400 brands and termed each brand name that survived as Masterbrand. The company shifted its strategy towards fewer brands because they could not control many brand lines and business portfolio which eventually created problems for the company. The company wanted fewer brands which were considered as more successful and powerful because then they could control their product line with a strong grip on the market. There was another issue of unified global identity which was lacking in major Unilever products such as Walls. Like Walls, many other brands were lacking international affiliation and recognition, which was a serious problem of the company. Unilever feared that they would eventually lose the market for their most prominent brand if they do not focus and take control of the market. The market positioning of Dove in 1950’s was focused upon providing a better product than soap, and provided a theme of ‘beauty bars’. The idea behind the particular marketing strategy was that Dove does not dry out the skin of consumers as it works as a skin cleanser and a moisturizer. Many of its television commercials were related to the particular theme in which it described that Dove creams your skin while taking a bath. Dove was focused on replacing the normal toilet soap with Dove cream bar. In another advertisement, the idea related to surpassing the old soaps which were referred to as old-fashioned soaps which needs the replacing with Dove. However, minor changes were made after 1950’s which was also similar to the old concept of not calling itself as soap. Dove always recalled itself as superior to soap because its formula suggested that Dove cleanser shall not irritate the wounds and burns. The market positioning of Dove was focused upon ‘The real beauty campaign’. As described by Dove in its mission statements that it is aimed at making women feel more beautiful by applying Dove. Dove broadened the meaning of beautiful through its campaign and focused on making women realize that not only prettier, thin, and healthy women are beautiful, but anyone who is more inspiring, or have a different attitude or a spirit is far more beautiful than the physical appearance. The idea of Dove was aimed at all those women who were physically not as pretty but they had charm to inspire anyone through Dove. The idea appealed to all women across countries and it developed a sense of confidence amongst those women. In order to make this idea a success, the company made strategic alliances with psychiatrists and fashion magazines to promote confidence in women through this marketing campaign. Dove was positioned to the real women and not the elitist women. Before 2000, Unilever had been implementing a decentralized approach in which the brand managers of a particular country were authorized to devise their own marketing strategy in their locality. These brand managers were also responsible for making key decisions regarding setting the goals of those products and targets to be achieved by the local subsidiary. Unilever was focused on making diversified teams and allowed the locals to make their decisions. Unilever adopted a strategy of ‘think globally and act locally’. Unilever believed in a non-authoritarian leadership style which is also referred to as laissez-faire leadership style so that subordinates may perform their tasks and responsibilities effectively. A global, decentralized approach was being followed by Unilever where employees were empowered and a top-down approach management structure was implemented. 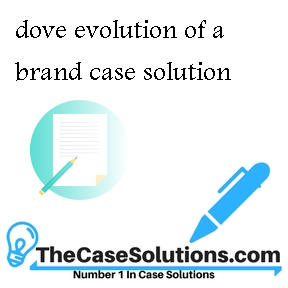 Examines the evolution of Dove from functional brand brand in terms of after Unilever defined it as masterbrand, and has expanded its portfolio to cover the entries in a number of sectors beyond the original bath soap category. Development leads to the brand team to take a fresh look at the cliche beauty industry. As a result of the disputed real beauty campaign. As the campaign unfolds, Unilever learns to use the Internet, and particularly social media networks such as YouTube, to manage disputes. Video supplement available for purchase through the customer service department Harvard Business Publishing.